As the world’s top network provider, Vodafone is always leading the new trend in the telecom industry and Vodafone usually let his customer first to enjoy new experience and new technology from the surfing. Vodafone USB Sticks are well known all over the world and since unlocked sticks are not limited to Vodafone network, we could see Vodafone surf sticks are used worldwide. Today, let us see the HSPA+ USB Sticks from Vodafone. 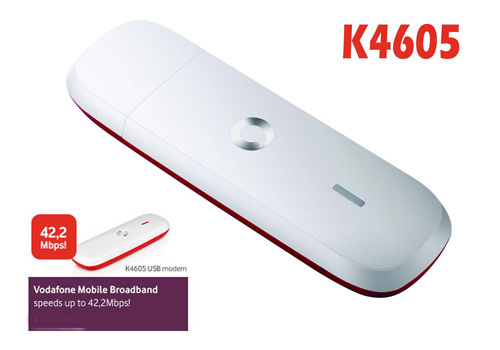 Vodafone K4505 HSPA+ 21Mbps 3G USB Surfstick is one of the hot unlocked HUAWEI 3G Wireless USB modems, which allows users to download at 21Mbps and upload up to 5.76Mbps. What’s more the modem could be upgraded to support 28.8Mbps download speed. It includes the ability to roam globally on HSUPA, HSDPA, UMTS and GSM/EDGE networks. You can stay connected wherever your travel schedule takes you. With External antenna, it could work with better signal even when you are in rural area. Vodafone K4605 is the second HSPA+ mobile broadband after K4505, and it’s come from the factory model HUAWEI E372, but seems better than E372. K4605 supports even more, it is twice speeds as HUAWEI K4505, HSPA+ download speeds up to 42Mbps, also the fastest dongle of Vodafone, additional, unlocked K4605 has another features difference from others that’s the bands support, generally supports 900/1900MHz, but this one support whole band. Vodafone K5005 4G LTE 100Mbps USB modem (the original factory model is Huawei E398), is a newest Triple-Mode LTE Modem from Huawei devices. It’s fully unlocked and ready to use with all global services. Since Vodafone K5005 is for Vodafone 4G LTE network, it supports maximum 100Mbps download speed and 50Mbps upload speed. Telecom also sells the device as well, and it’s called Speed Stick LTE. The difference of them is just the logo. Vodafone K5005 is the upgraded version of Vodafone K4605 and support 4G LTE network, while the latter only works on 3G DC-HSPA+/HSUPA network. And K5005 LTE USB Stick is the first LTE model released by Vodafone to benefit the customer who has higher demand for the speed. 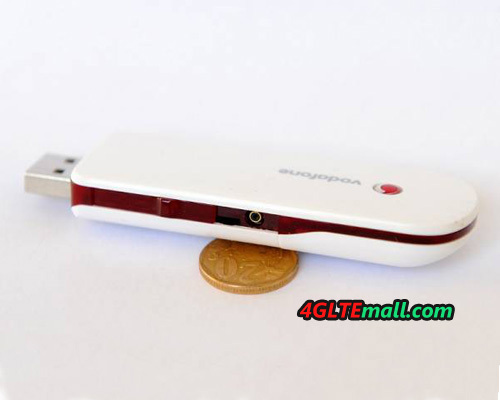 Vodafone LTE USB-Stick K5006z is a new 4G LTE USB modem that produced by ZTE, the top telecom equipments supplier in China. K5006Z is one model upgraded from Vodafone 3G USB Stick, such as K4605, K4505, K3765, K3565, so it has the similar appearance as them. There is twin model Vodafone K5006H which is produced by HUAWEI, also the head wireless terminals supplier in China. Vodafone K5006Z and K5006H are only the manufacturer difference. The other features are almost the same. Vodafone K5006Z supports LTE frequency at 800MHz and 2600MHz with up to 100 Mbps download speed, in the UMTS network, thanks to DC-HSPA+ up to 43.2 Mbps in download possible. Unlocked K5006z could work around all over the world with the providers in Asia and Australia. 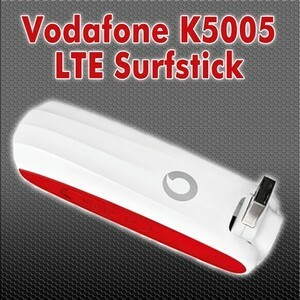 Vodafone Connect Pen K5007 4G LTE USB Surfstick is the latest Vodafone 4G USB Surf stick for LTE network. It’s first released in Portugal and it support 4G LTE download speed at 150Mbps (the fastest and maximum download speed based on current 4G technology). 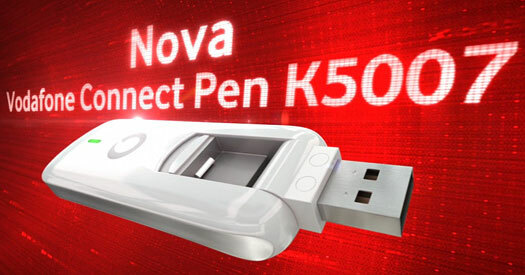 Vodafone Connect Pen K5007 LTE FDD stick is the world’s first commercially available device for LTE Category 4. It comes from the factory modem HUAWEI E3276 4G LTE Surfstick with Vodafone brand. 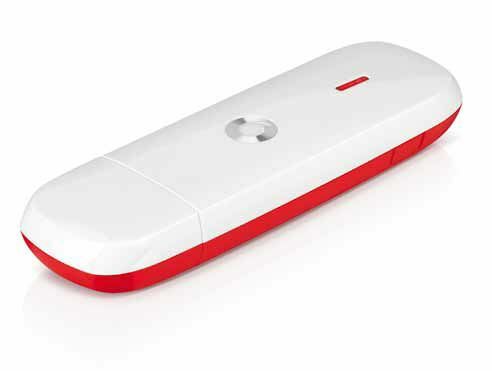 Vodafone Connect Pen K5007 4G USB modem supports a total of five frequencies (800/900/1800/2100/2600 MHz) and delivers up to 150 Mbit/s downstream and 50 Mbit/s upstream. K5007 4G Dongle also supports DC-HSPA+ UMTS network with GSM and EDGE backward. The dual-carrier HSPA+ data rates of up to 42 Mbit/s can be achieved. It would be lucky if you are under Vodafone network, but if now, there is still ways to enjoy same network experience. There are unlocked surf sticks available on www.4gltemall.com . With unlocked ones, you don’t need the contract with Vodafone and still enjoy HSPA+ fast speed freely.